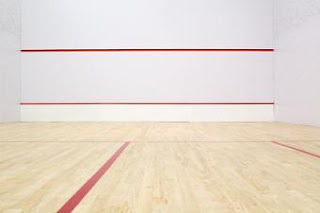 The squash courts of London's famous Lambs club fell silent for the last time on 31st July 2007. The last match to be played at the club was between Lambs' manager Tim Garner and former world number one Peter Nicol. The nine-court complex - often described as the "Wimbledon of squash" - was bought by developers and will be demolished to make way for a residential development. The closure follows a two-year fight to save the famous club and preserve a facility that has been used by many of the world's greatest players over the years, including Jahangir Khan. The loss of the nine courts means that City employees - potentially some of the most influential backers of the game - will have to find another club. This is easier said than done when leisure centres are closing squash courts to make way for more lucrative fitness suites. A Lambs Action Team has been formed to try to for a new club under the banner, but has yet to find solid backing.